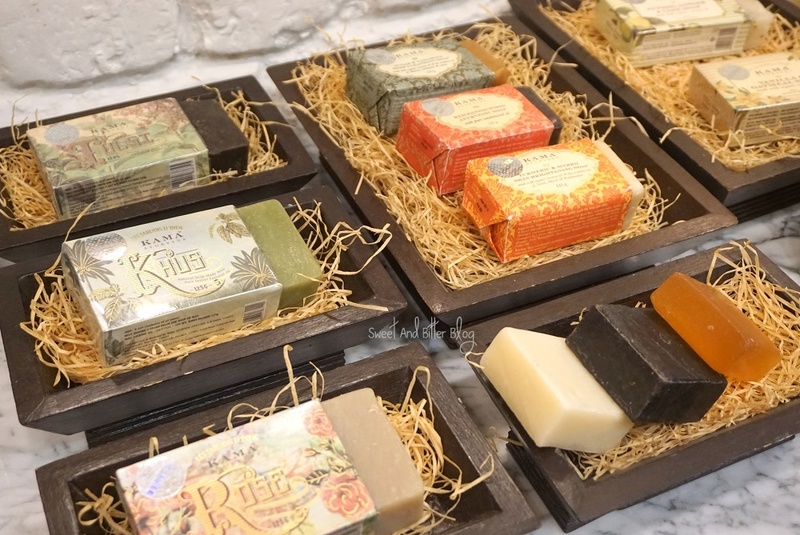 Do you remember the last time I talked about a Kama Ayurveda product? Well, I do not even want to look back and check. Another visit to the store was due for long. My Good Earth rose water is currently at an alarmingly low amount. 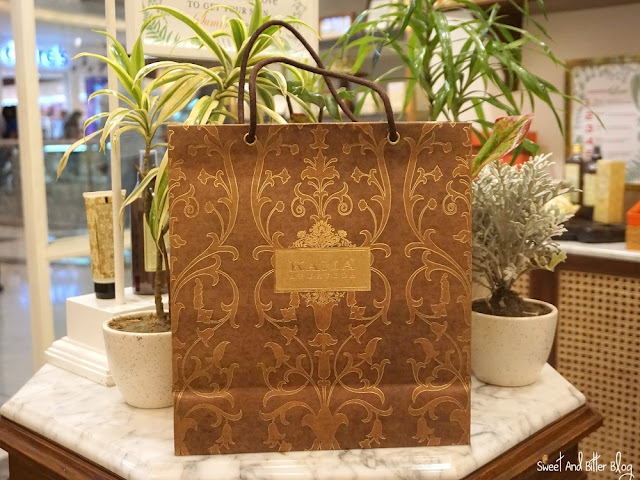 I do not see any trip to Delhi soon so, thought of picking the Kama Ayurveda Rose Water. So, what did I picked? Kama Ayurveda Neem Oil (Cold pressed and Certified Organic)(Rs 675 for 200ml): I think it was launched last year and I saw it when I went to Delhi. But, I could not bring myself to buy it because I had no intentions of adding weight to my luggage with something already available in Kolkata. Long story short - after a year, I got it. I have high hope from this, and I even intend to drink it. I eat Neem leaves so, don't worry! My tongue can tolerate it. 😝 More about it in the review post. 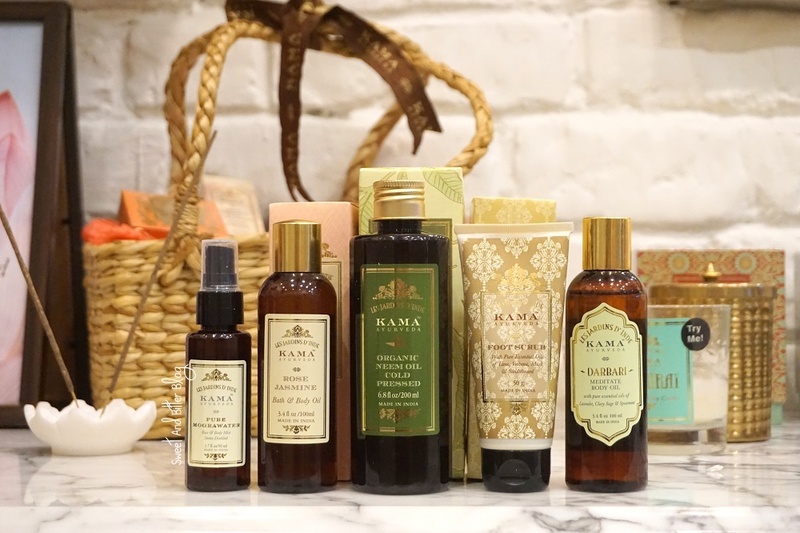 Kama Ayurveda Rose Jasmine Bath and Body Oil (Rs 795 for 100ml): I wanted to pick the Ginger one, but I had no idea that they have discontinued it. So, I chose this. I love their Rose Jasmine cleanser. Kama Ayurveda Darbari Meditate Body Oil (Rs 425 for 100ml): You can see what an oil junkee I have become! I recently suggested few Kama products to my friend, and when she went to the store, she also picked this one. She loved it and suggested me to try it. When I tried it yesterday, I could know why - very relaxing. It is not very expensive either so, no harm in trying. Kama Ayurveda Foot Scrub (Rs 550 for 50gm): Not sure if I need this because all the not-so-good face scrubs become body and foot scrubs (See my empties post when I post it at the end of the month. Full of scrubs). But, the SA suggested that I try it. The ingredients seemed promising (99% natural) so, I picked this one. Special Mention - Kama Ayurveda Kannauj Rose Soy Candle: This is a new launch, and they have nailed the fragrance of Kannauj roses to perfection. Love it, and I have marked it as - Buy Later. 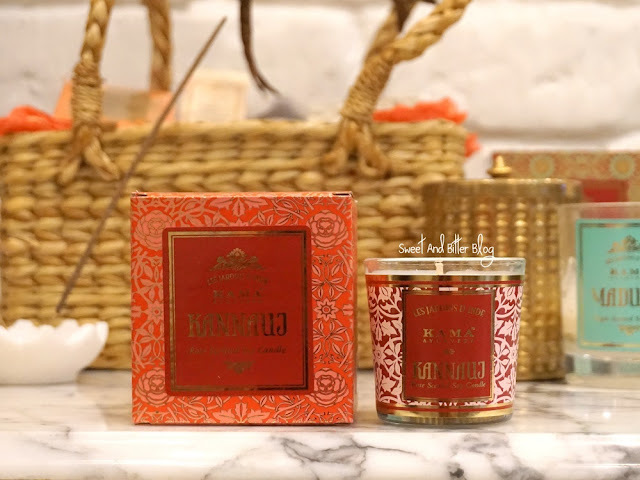 If you are looking for Soy Candles, then you have to check this one out! Which one should I review first? Anything from here that you have used, loved, or didn't like? What are your favorites that I should have picked? My Envy Box March 2017 // Is it for You?